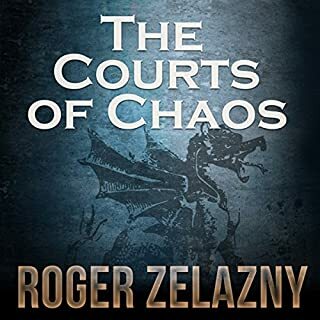 Treacheries, trickeries, assassination attempts and bloody family intrigues have finally maneuvered Merlin, aka Merle Corey, into the Courts of Chaos. Thanks to a series of conventionally fatal "accidents" engineered by his mother Dara and uncle Mandor, Merlin third in line to occupy the throne. Following the cliffhanger ending of Blood of Amber, Merlin is stranded in surrealistic Alice in Wonderland-esque bar where the Mad Hatter serves cocktails. Managing to escape, Merlin meets new family members - one of whom is intent on killing him. As events escalate, Merlin finds himself surrounded by his worst enemies - including his ex-girlfriend - back from the dead. 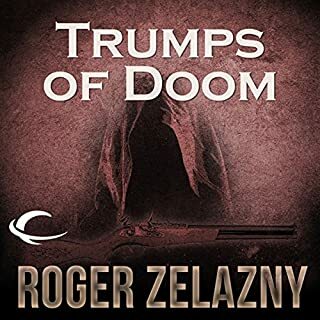 Pursued by a fiendish enemy, Merle must battle through an intricate web of vengeance and murder that threatens more than the San Francisco Bay area. 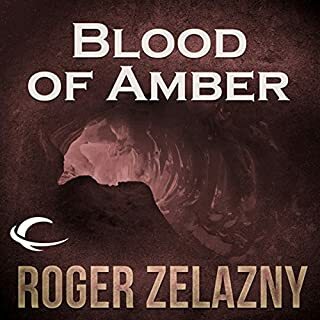 For Merle Corey of California is also Merlin, son of Corwin, vanished Prince of Amber; and the forces, seeking to destroy the royal house, have unleashed sorceries that can strike anywhere, especially at the very heart of Amber. 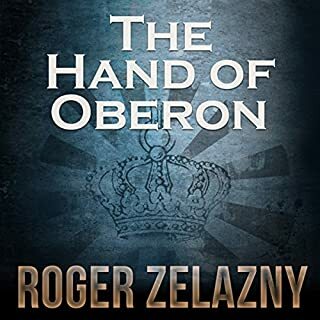 Corwin finds his world dissolving around him when his father Oberon, disguised as Corwin's friend, steals the Jewel of Judgment so that he may defeat the evil Brand. Returning to Shadow Earth to investigate a threat against his life, Corwin discovers that the Jewel of Judgment has been stolen by his traitorous brother, Brand, who plans to use the enigmatic gem to reshape the universe. 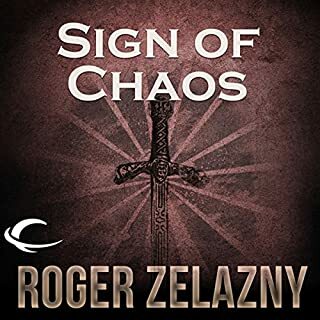 Knight of Shadows is the ninth book of The Chronicles of Amber; an epic fantasy series written by six-time Hugo Award winning and three-time Nebula Award winning author, Roger Zelazny. The ten books that make up the series are told in two story arcs: The Corwin Cycle and the Merlin Cycle. Narrator Wil Wheaton, who won the 2012 Audie Award for his engaging performance of Fuzzy Nation, brings this classic series to a stunning close by giving voice to Merlin, Corwin’s son, in the final five books of the series. 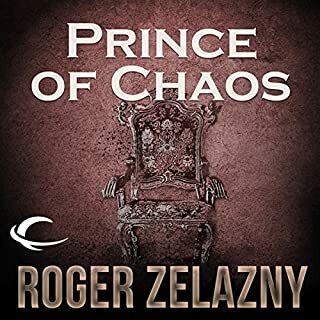 ©1989 The Amber Corporation (P)2012 Audible, Inc.
Zelazney captures the imagination with larger then life characters in impossible situations....and yet they are so relatable in so many ways. This book was a shallow disconnected mess that was very hard to stay interested in. The first half of the Amber books had its ups and downs in quality and entertainment, but I really feel like they've steadily gone downhill the last few installments. #9 was the kind of book that could kill a series. However, since I have invested the time into the first eight, and there is only one more to go in the 10 book series, I will finish it out nevertheless. The Unicorn and the One-eyed Snake of Chaos duel, using Merlin as pawn! This series takes a while to get going, but this book is solid. In this installment we finally get a bit more of the history of the war between Chaos and Amber/Order. Dorwin comes back for real. Corwin kinda-sorta-maybe comes back. Also, we get more of Mandor, who is one of my favorite characters in this series. Couldn't wait to hear this story! Merlin had a wild adventure and takes out part of Amber Castle... Although, it's not really his fault. Amber Chronicles getting better with each book! 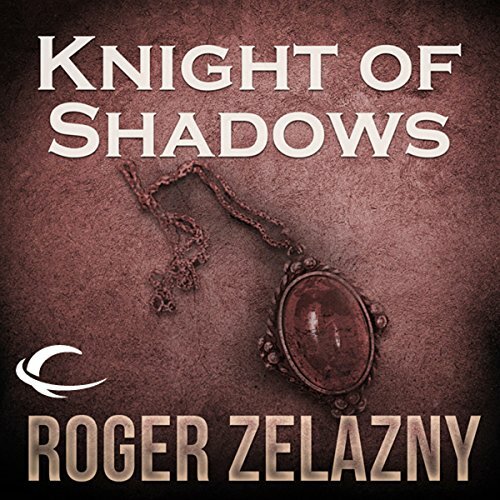 What made the experience of listening to Knight of Shadows the most enjoyable? The bringing together of various 'loose' ends & a couple of twists in the tale - Luke getting married for one! best series since wheel of time. Wil did a wonderful job of narrating. Particularly the voice of the Logris. In a hurry to download the next book in the series.